[recommend]Welcome to our live weekend blog, as we bring you comprehensive coverage of all the key action over the next three days. We’ll have team news for the Premier League games as it comes in today and all the top lines from the manager’s press conferences, as well as expert opinion and preview pieces. 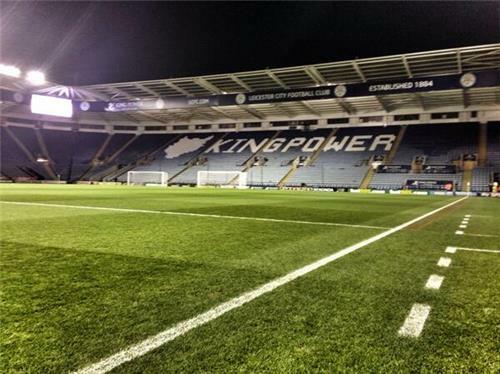 You can also follow the build-up on Sky Sports News, with the Weekend Warm-Up show from 6pm. [fl72]The weekend’s live action on Sky Sports kicks off with a huge clash in the Sky Bet Championship on Friday night. 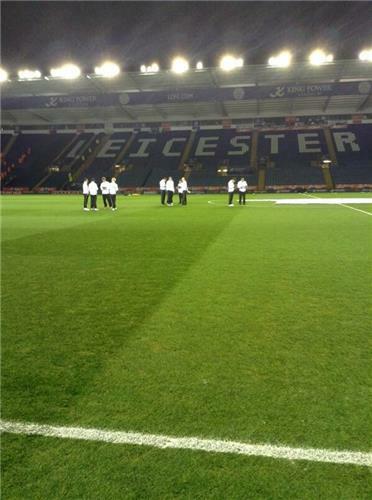 It's first against fourth as Leicester host Derby at the King Power Stadium. Coverage gets underway from 7.30pm on Sky Sports 1 HD. [westham]Sam Allardyce takes his West Ham side to Cardiff for a vitally important Premier League clash at the bottom of the table on Saturday. 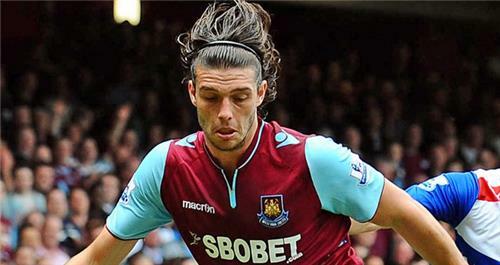 The Hammers boss could have Andy Carroll available to play in south Wales as he looks to end the club's abysmal run of form - although he's not in the mood to apologise for the cup thrashings at Nottingham Forest and Manchester City. SA: "Andy is training ok and we have to talk to the lads who are looking after him on whether he's ready or not." SA: "It hasn't been the best week or a number of weeks for me. Every time you lose a football match it gets more and more difficult." [paulmerson]Before we kick off the team news for Saturday's Premier League games, let's see what Paul Merson thinks will happen in the top-flight this weekend. The top four are all away from home in the 21st round of fixtures, but our Sky Sports expert believes only Arsenal and Chelsea will claim wins on the road. At the bottom of the table, it's more misery for West Ham and Sunderland, according to Mystic Merse. For the record, on New Year's Day, Merson predicted five of the 10 Premier League results correctly and got two perfect scorelines - Fulham 2 West Ham 1 and Stoke 1 Everton 1. Read Merson's latest predictions in full here. [hull]Hull manager Steve Bruce is hoping a sickness bug that has been affecting his squad has passed in time for Saturday's Premier League clash at home to Chelsea (kick-off 12.45pm). As many as nine Tigers players have shown symptoms over the past week but most are expecting to be fully fit. Paul McShane is out for three to four weeks with an ankle injury sustained at Middlesbrough last weekend, while Sone Aluko (Achilles) and Robbie Brady (groin) remain out. 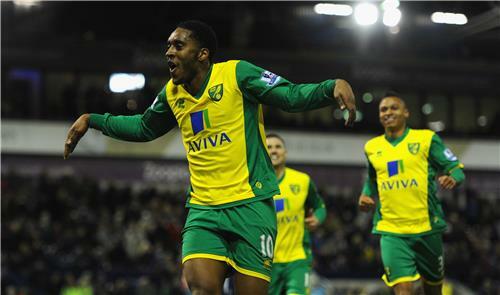 ... while a new-look defence means Everton must be careful when they host Norwich. 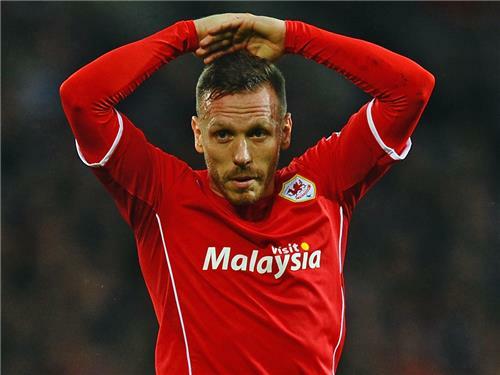 [cardiff]Craig Bellamy is back from a knee injury as Cardiff boss Ole Gunnar Solskjaer takes charge of a Premier League game for the first time at home to West Ham. Bellamy has been sidelined for two months with hamstring and knee problems but has trained this week ahead of the clash with the Hammers. New signing Magnus Wolff Eikrem looks set to be named on the bench after arriving from Heerenveen earlier in the week. [derby]Ahead of our live FL72 clash between Leicester and Derby in the Sky Bet Championship tonight, Rams defender Michael Keane - on loan from Manchester United - has been speaking to Sky Sports News Radio. 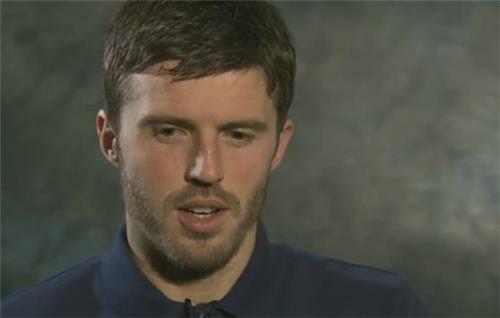 Hear what he has to say about his future and don't forget to tune in from 7.30pm on Sky Sports 1 HD. Our weekly Premier League quiz is coming your way in ten minutes time. Remember to include #SkyFootball with your answer. [norwich]Norwich will have Dutch midfielder Leroy Fer back from a one-match suspension for Saturday's Premier League trip to Everton. Midfielders Wes Hoolahan and Bradley Johnson also return to the squad after sitting out last weekend's FA Cup third-round draw with Fulham, as does captain Sebastien Bassong. Centre-back Michael Turner (hamstring) and Jonny Howson (back) are still sidelined, while Alex Tettey (knee) and Anthony Pilkington (hamstring) have both returned to light training following their own injury lay-offs. Winger Elliott Bennett (knee) is a long-term absentee. 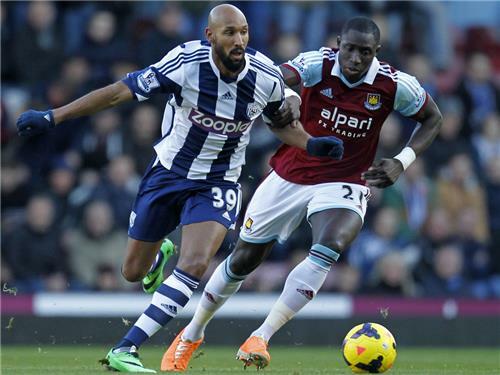 [now-tv]You can enjoy the best of Sky Sports in 2014 with a Day Pass from NOW TV. No contract required. For more information, visit www.nowtv.com/live. [jeffstelling]"Guts it out... I know it won't make me popular with the West Ham fans, but I just think the alternative now is unthinkable - and won't advance their case at all." That's the view of Soccer Saturday host Jeff Stelling on Sam Allardyce's predicament at Upton Park. With so many Irons supporters wanting a change of manager, Jeff can understand their frustrations - but he thinks David Sullivan and David Gold should stand by their man. Read his column in full. 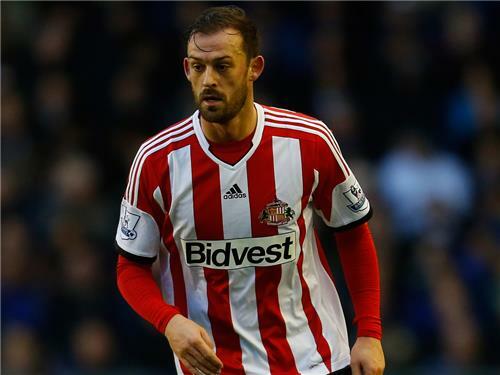 [sunderland]Steven Fletcher is set to keep his place in Sunderland's starting line-up for the Premier League trip to Fulham after shrugging off a slight knock sustained in the midweek Capital One Cup win over Manchester United. Black Cats boss Gus Poyet does not expect any fresh injury concerns and could keep faith in the side that secured their 2-1 first-leg win, although Adam Johnson is pushing for a recall after being singled out by Poyet for special praise. Poyet is without midfielder Cabral who has moved to Genoa on loan until the end of the season, while goalkeeper Keiren Westwood remains sidelined with a shoulder injury. 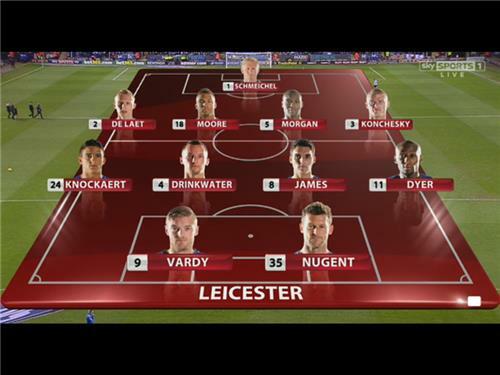 Have you made changes to your Sky Sports Fantasy Football team yet? Here’s last week’s team of the week, in which Saido Berahino was the top scorer with 23 points. It’ s never too late to register a team, with weekly prizes up for grabs. Sign up now. [everton]Midfielder Ross Barkley is one of four injury doubts for Everton boss Roberto Martinez ahead of their game with Norwich at Goodison Park on Saturday. The 20-year-old has a swollen toe in his right foot and will be assessed but Martinez retains hope he can feature along with full-back Leighton Baines (back). There is less optimism surrounding Phil Jagielka and Sylvain Distin (both hamstring), though, with the pair thought to be a week away from full fitness so John Stones and Antolin Alcaraz could continue their central-defensive partnership. On-loan Barcelona forward Gerard Deulofeu is still on course of a February comeback from his hamstring injury, while midfielder Darron Gibson has targeted a return by April from his knee injury. 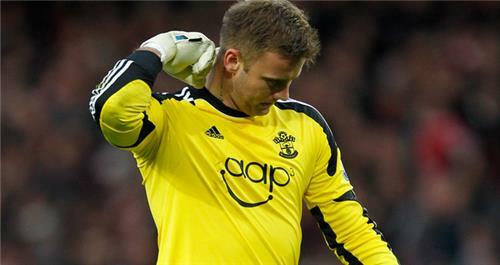 [southampton] Artur Boruc could be available for Southampton's clash with West Brom tomorrow. The Poland goalkeeper fractured his hand in the defeat at Chelsea on December 1 and may return on Saturday - a match Dani Osvaldo (suspension) and Victor Wanyama (shin) will definitely miss. Gaston Ramirez and Rickie Lambert are recovering well after sustaining knocks in the FA Cup victory against Burnley, while Guly do Prado is training well after knee surgery. [westbrom] West Brom caretaker head coach Keith Downing will be without full-back Billy Jones for his last game in charge. Downing will revert to his backroom role after the trip to Southampton following the appointment of Spaniard Pepe Mel this week. 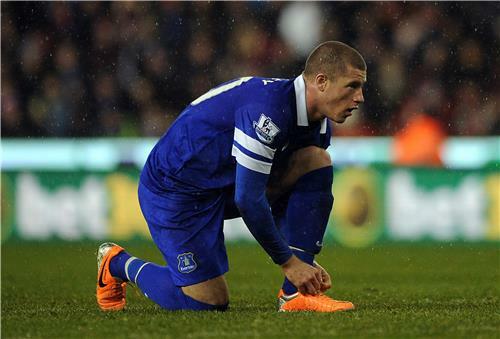 He will need to cope without Jones, who has had an operation on an injury to his eye. Jones' fellow defender Goran Popov (neck) is out, while recent absentees Youssouf Mulumbu and Victor Anichebe are back in training but unlikely to feature. 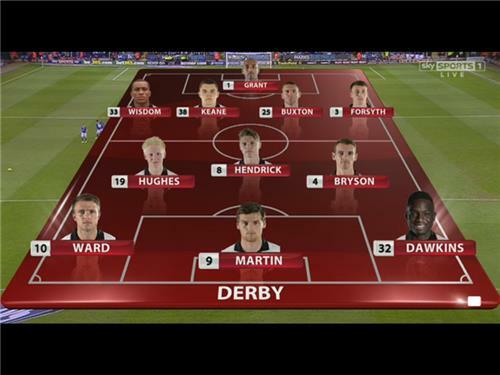 Downing has "one or two" unspecified others who are rated 50-50 to be fit for the match. [fulham] Fulham boss Rene Meulenteen is hoping to make the most of home advantage for tomorrow's vital game against fellow strugglers Sunderland. [manchesterunited] Ryan Giggs has admitted ahead of Manchester United's Saturday Night Football clash with Swansea City that they need to go on another winning streak after three defeats in a row. [swansea] Swansea's injury woes have deepened ahead of their visit to Manchester United, live on Sky Sports 1HD at 5.30pm tomorrow. 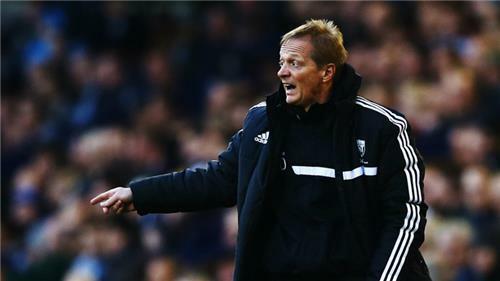 Jonathan de Guzman, Roland Lamah and Dwight Tiendalli have joined Nathan Dyer, Pablo Hernandez, Garry Monk, Michel Vorm and Michu on the sidelines, leaving manager Michael Laudrup with limited options against the reigning champions. Ashley Williams, Ben Davies and Angel Rangel will return to the back four with Jose Canas and Leon Britton set to start together as deep-lying midfielders. [fulham] Rene Meulensteen is sweating on the fitness of a couple of key players ahead of Fulham's game against Sunderland. [westham] Sam Allardyce will give Andy Carroll as much time as possible to prove his fitness ahead of West Ham’s trip to Cardiff. West Ham's record signing has yet to play this season due to a foot injury but could play some part in south Wales as the Hammers look to improve on 19th place in the table. Loanee Roger Johnson will make his league debut with fellow defenders James Collins (groin) and Winston Reid (ankle) still absent and Joey O'Brien sidelined after taking a knock in midweek. Captain Kevin Nolan is suspended and Ricardo Vaz Te (shoulder) also misses out. 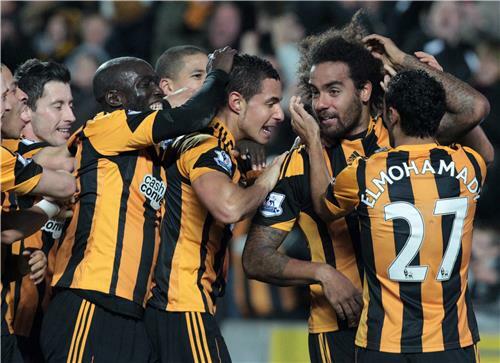 [recommend] The best start to your footballing weekend is back from 5pm in the Sky Sports Football Club. Listen live to Mikey Burrows and Danny Mills only on Sky Sports News Radio, when they’ll be discussing transfers as well as previewing all the weekend’s action. There's a stellar line-up on Weekend Warm-Up tonight. Messrs Carrick, Gerrard and Nasri talk title races and rivalries on Sky Sports News from 6pm. We'll bring you the best chat right here if you're out and about. Here’s Sky Bet’s Price Boosts on tonight’s huge game in the Championship, live on Sky Sports 1 HD. 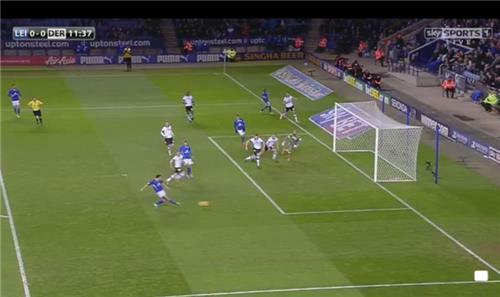 Leicester are currently evens for the win with Derby 11/4, while the draw is available at 12/5. The division’s Manager of the Month and Player of the month go head-to-head, with Danny Drinkwater a special price at 20/1 to score first. Hot-footing it up to Manchester and after Chris Smalling apologised for an ill-advised fancy dress costume earlier this week, manager David Moyes has also attempted to draw a line under the incident. I think Chris understands it was the wrong thing to do. We have told him that and we have moved on. There's a brief line from the FA this evening regarding Nicolas Anelka, whose goal celebration against West Ham caused quite a stir. A statement on the FA website says an investigation - aided by an "appointed expert" - into his 'quenelle' gesture is ongoing. There'll be no further update until Monday, 20 January at the earliest, they also tell us. Michael Carrick is first up on the Weekend Warm-Up and he's told us the players are as hurt by Manchester United's poor run of form as much as the fans. It’s not easy, it’s been a difficult time, to cope with the results but that’s part of the job, we need to get on with it, pick ourselves up. We still believe we can go on a good game of runs, starting tomorrow, it’s a huge game and one we’re looking forward to. We have to relish this challenge and when things aren’t going well that’s when you really find what you’re really about so it’s a good test for us. 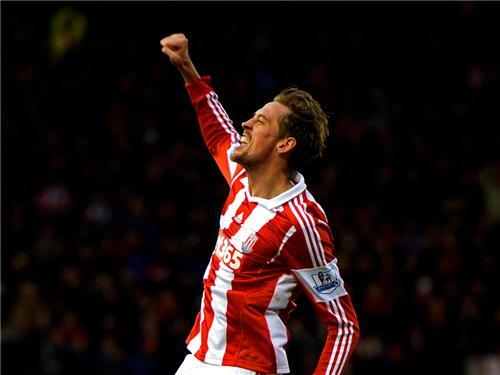 Next up on Weekend Warm-Up was Stoke striker Peter Crouch. He showered praise on Moroccan winger Oussama Assaidi insisting the midfielder is a real box of tricks in training and on a matchday. A rather dapper-looking Samir Nasri - dressed in a hip leather jacket - discussed Manchester City's prospects this season on Weekend Warm-Up. City have scored 57 goals so far and Nasri is confident they can beat the Premier League record tally of 103 goals set by Carlo Ancelotti's Chelsea in the 2009/2010 campaign.